The rise of manufacture and commerce in the Victorian era led to a boom in house building — especially in our town and city suburbs. 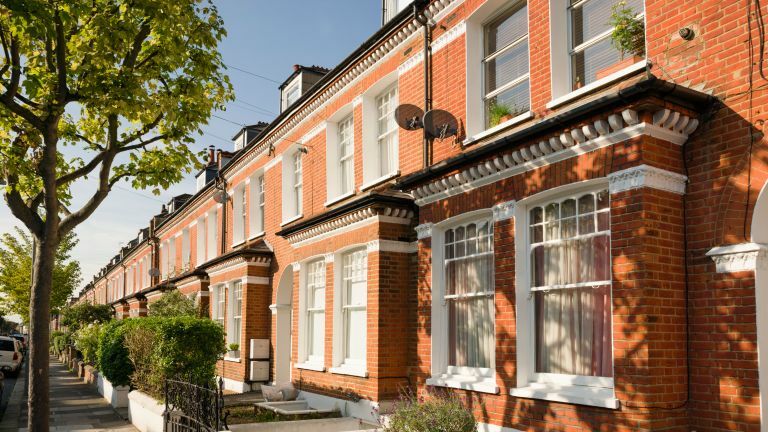 It is therefore not a surprise that a large proportion of the homes in this country are Victorian terraces. As anyone who lives in one of the many Victorian terraces knows, these characterful homes come with their quirks. From sloping walls to rooms that are a little on the small side, these homes require extra consideration when it comes to updating them for modern life. So, if you live in a small two-up-two-down, probably built for workmen, some of these thoughts may strike a chord. No matter how hard you have tried to create the illusion of space (mirrors, compact furniture, going completely minimalist…) anybody who walks through the door will remark how cute and cosy your house feels. Yes, they are being complimentary, but try not to let your hackles rise as in your head you are replacing ‘cosy’ with ‘small’. The Victorians did not go in for that whole open plan malarkey — okay?! Traditional Victorian cottage doors are about six feet high. If you have visitors taller than this, they will inevitably bump their head at least once on their visit. You could pad the door, or install a novelty ‘Mind your head’ sign, but why compromise the look of your home when you can sheepishly say sorry every time your home maims your guests instead? 4. Do I want my home to be warm or authentic? Those single-glazed original, timber windows look just lovely, but come a chilly winter’s eve and you’ll be wishing for that second pane of glass. No wonder Glen and Judy from number 34 have replaced their wooden windows with the aforementioned cheaper uPVC. Fortunately you can have the best of both worlds and if your windows do need replacing, take a look at the double-glazed wooden options on offer. The average Victorian had far less stuff than we do today so a need for expansive built-in storage and walk-in wardrobes was not commonplace. You however, do have a lot of stuff and over the years you will develop ingenious ways to squeeze storage in wherever possible. Vacuum storage bags will become your new best friend (let’s ignore the fact that you come back to them a month later and they have reinflated), and you will be amazed by how much stuff you can fit in under stairs storage. Chimneybreasts were designed to hold either end of your alcove shelves up weren’t they? And I bet you own every type of chair/storage-box hybrid going. Victorian homes can be a bit draughty, so we plug up the chimney, cover the airbricks and draught proof the windows until the odd breeze through the living room is no more. Then, before you know it you have patches of mould and walls dripping with condensation every time you dare breathe. There will be a traumatic moment where you honestly believe you must become resigned to a life of draughts or the perils of mould. But wait, all is not lost! You can draught proof your home to lower your energy bills and limit the chill, but don’t forget to plan in ventilation. Your kitchen and bathroom will need extraction in place to remove smells and condensation, and, nothing beats throwing the windows open every day for 10–15 minutes to bring in fresh air and sunlight — remember mould thrives in dark, dank areas. If you do need to, read our guide to find out how to get rid of mould and mildew. Nobody should underestimate the power of good soundproofing. A single skin of bricks between you and next door, insulated by little more than perhaps a bit of plaster, can feel as thin as a sheet of paper if next door are having a party. Yes, you will hear their music, their TV, their snoring, their break ups, their make ups (easy, tiger), and their late night heart-to-hearts with the cat. Remember the key to a successful relationship with your neighbours is to communicate any problems early on — they probably don’t realise how easily the sound travels. Then – if you can – improve the sound insulation between your homes by using sound absorbing materials or install sound-blocking doors. And if you can’t, remember that the odd bump or mumble from next door to remind you they are there can be very comforting when you are home alone. Those rustic, wonky walls look oh so lovely — that is until you come to try and install fitted furniture. Freestanding kitchen cabinets might be one solution, but you just know fitting floor or wall tiles is going to be amusing. And forget about trying to make pictures look like they are perfectly lined up. Another symptom of the wonkiness is your home’s ability to talk to you with its creaky doors and wonky floors. These noises quickly become an issue when you need to come home late without waking the whole family. Rustic charm, shabby chic and the weathered look — your home has it by the bucket load. Who would have thought the half-stripped wallpaper you have been meaning to finish since summer 2012 would become a ‘thing’? And praise be for the exposed brick trend, because now you won’t need to fork out for a plasterer. The cracks, the creaks, the wonky walls, the way the windows whistle in a high wind. These are the things that give your home character, and – after all – that is why you love it.